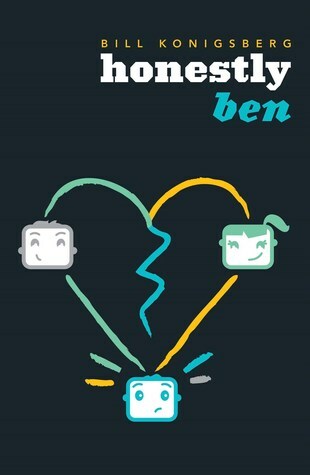 This book made me cry. I didn’t think I would, but then, there was one scene near the end that just broke me. Lying in bed with tears in my eyes, I had a new respect for Suzanne Collins’ writing. She really gave it everything in this book and made me care about so many of the side characters. I just couldn’t stop reading. Building up throughout the series, this book brought it all to a close in such a way that left you satisfied, yet still riveted. I just want the third movie to be out already and I haven’t even seen the second yet. 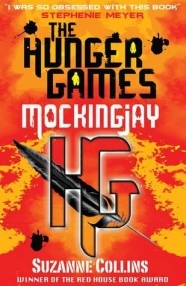 With the Capitol’s control over the districts flailing, this book sees Katniss taking up her role of the Mockingjay to bring the districts together in their fight against the power that has been oppressing them for so long. While it’s a drastic shift from the position we were in at the beginning of the series, even the last book, it feels like a natural progression. And to think that the actions of one girl could spur such a rebellion, it really leads you to imagine the impact of things. Set in the thought-to-be destroyed District 13, we’re introduced to a new order, one very militaristic in their day to day lives, one that seems almost as oppressive as the Capitol that they had been fleeing. Like Katniss, I had an instant dislike for this place, though did appreciate what it could do them in terms of their war efforts. By trapping Peeta in the Capitol at the end of the last book, it left room this time for Katniss and Gale’s relationship to shine through this time around. Though the constant ‘propos’ they kept filming as a way of getting their message out there were a fun way to lighten the mood. Plus, I just love Katniss and Haymitch bickering—you can really feel the bond that’s grown between those two. For the final book in the series, one that I’m long overdue in reading, I can definitely say that it met my expectations and pushed things just a little bit further. The anger, the withdrawal, the love, it’s all real. This is one series that I can add there up amongst my favourites. Fans of dystopian, and those who just want a gripping story to latch onto. Fabulous reviews of the books in this series. I hadn’t made it past Hunger Games, even though the other two are on my TBR pile. You’ve encouraged me to get them out and read them. Many thanks!